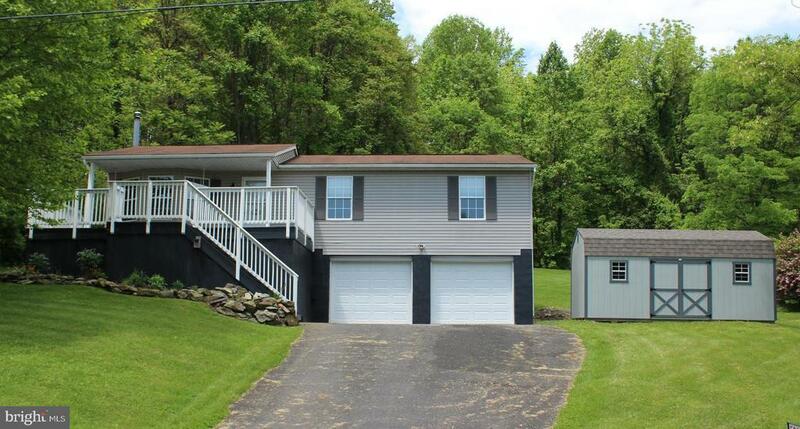 3 Bedroom, 2 bath Raised Rancher on a large, fenced lot! Great, quiet location on cul-de-sac. Attached 2 car garage with brand new garage doors & large paved driveway. Oversized shed- new in 2018! Living room features a beautiful bay window & pellet stove. White kitchen cabinets- all appliances convey. Dining area opens up to large rear deck. Lower level features a family room with wood stove, laundry room, & den/possible 4th bedroom.